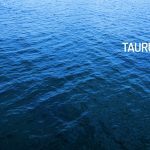 Here is your Taurus Horoscope for September 2018. Every month, you will find at WeMystic the astrological forecasts for your zodiac sign. The culmination of the retrogrades of Saturn (05/09) and Pluto (29/09) in the IX House of Taurus will considerably improve the mood of the natives of the sign, coinciding with the New Moon of September 9, which will affect the V House of the bull. The lunar event announces good perspectives on romantic matters. It is possible that a new relationship arises at the least expected time. However, as the asteroid Palas will enter the V House of Taurus on 06/09, the subject will take his time before committing. It is worth noting that Mercury will be transiting on the V House of Taurus from 05 to September 20. In addition, the Sun is also found in this location (until 21/09). So, we talk about a relationship with possibilities in the future, in which the Taurus person will take the time to analyze the suitor, and confirm if there is compatibility, beyond the superficial. Finally, the entrance of Venus in the VII House of Taurus (09/09) will advance the commitment plans between couples that have been established for some time and will promote a reconnection with the romantic spirit within the relationship. The finances will remain stable for the natives of Taurus, during September. Asteroid Vesta will be in the VIII House of the sign until 16/09, which implies that decisions involving shared goods will be aligned with a thorough analysis of the situation. Although this attitude can be perceived as distrust on the part of close relatives or even the partner, the truth is that the Taurus person will want to ensure that the transactions yield benefits for all involved, and not create risks that undermine the joint heritage. In this sense, practical (and logical) reasoning is imposed before fantasies (Eros in the II House of Taurus, from 16/06) or the excess of optimism of third parties, even though they are called party poopers (a sparrow in thy hand is better than a thousand sparrows flying). On the other hand, in the workplace, the New Moon in Virgo on September 9 will touch the V House of Taurus, where the Sun will be present until September 21. It should be noted that in this location, the V House of Taurus will enter the asteroid Palas (04/09), and Mercury will be passing from 05 to September 20. These alignments are translated as a new creative project, with a strong personal component, which will star in your mental plane in the coming days. The fact that Pallas and Mercury share this section of the astral chart next to the Sun points out that it is not a fantasy, but something that awakens your emotion, and you will insist on building following a logical strategy. With the passage of Mercury and the Sun to the VI House of Taurus (on September 21 and 22, respectively), you will notice that it is necessary to adjust the usual routines of work and accompany your venture with all the attention it deserves. This does not imply an immediate change of job position, but a better management of your time which will allow you to increase productivity in your current position (Ceres in the VI House), without neglecting the new objectives. The entry of Mars into the X House of Taurus on 10/09 will be another aspect that you cannot neglect, as it promotes a more active attitude when showing your talents to third parties, or assume a leadership position without hesitation, (it is a good time to manage teams, make presentations and update your curriculum). For Taurus students, the culmination of the retrogrades of Saturn (05/09) and Pluto (29/09) in the IX House of the sign presumes less pressure in the academic plane, without leaving aside the responsibilities. Designing flexible planning will be the key to the next period. Venus, the ruling planet of Taurus, will be present in the VI House of the sign of the bull until September 9, which favors the treatment and recovery of ailments associated with the reproductive system (female or male). Also, the arrival of Ceres to this location (VI House of Taurus) on 06/09 will place the focus on how you nourish yourself, both emotionally and physically (the food you eat). The dwarf planet Ceres, in the VI House of the bull, invites you to work on the relationship you have with yourself, from different angles. In addition, it is an excellent transit to carry out detoxification regimes and address eating behavior disorders (EBD), with the assistance of clinical specialists in the field. This type of action acquires a more analytical and deep look with the entry of Mercurio (21/09) and the Sun (22/09) in the VI House of Taurus. The subject perceives the need (urgent, in some cases) for a change in their life habits, especially regarding their daily diet and the management of emotions (how they impact on your mood). The presence of the Sun in the VI House indicates that the native of Taurus will have the necessary impulse and the will to undertake this transformation. However, it is essential to undertake the task in the hands of health professionals, qualified for that purpose (better not to do it alone). Another aspect that you must bear in mind during this time of the year is the exit of retrograde Chiron from the XII House of Taurus (25/09), which will decrease the activity in the unconscious level, allowing better rest. However, as Chiron will return to the XII House in 2019, it is convenient to meditate about the new behavior patterns. The intention is that, upon their return, you are prepared to take the lessons from a new perspective. Generally, the sons and daughters of people under this sign, are in good health. Nonetheless, at this time of year, it is prudent to be alert to the possibility of allergies or sudden respiratory illnesses (physical strength does not make you invulnerable). In WeMystic, you will find everything about Astrology, Tarot, Numerology and Spirituality and Well-being. Go to m.me/wemysticen and have a chat with us! Have you ever thought that cats sense anxiety in humans? WeMystic is an information site and its content is not of scientific rigor. All prices and characteristics of the products presented are valid as of the date of publication of the content and may be changed without prior notice. The process of buying and / or using the products mentioned herein is entirely the responsibility of the user and the company responsible for the marketing of the product.